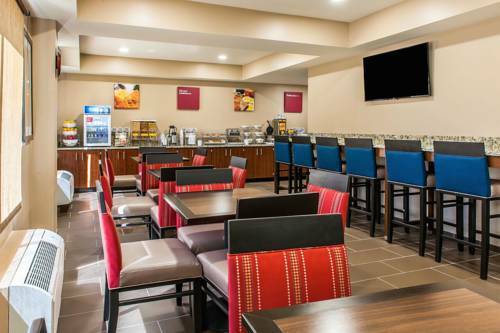 The Comfort Inn and Suites hotel in Mount Sterling, KY near Woodland Industrial Park will get you rested and ready for anything. Located off Interstate 64, we are near Red River Gorge, Natural Bridge and Lexington attractions. Whether you are here for leisure or business travel, amenities you can count on include free WiFi, free hot breakfast, an indoor heated pool, business center and exercise room. Your guest room offers relaxation and features amenities like a microwave, refrigerator, desk, hair dryer, coffee maker, recharge device, pillow-top mattresses and more. Earn rewards with every stay with our Choice Privileges Rewards program. A race of handmade cardboard watercraft annually flounders down the Ohio River. Some of the best and strangest are exhibited. ~63 miles from Mount Sterling. Do ventriloquist dummies give you the creeps? Then you may want to tell yourself, "They're not going to kill me, they're not going to kill me..." before you visit the thousands of dummies at Vent Haven. ~75 miles from Mount Sterling. Sleep like a hillbilly, an African villager, or the Abominable Snowman, depending on your mood. ~73 miles from Mount Sterling.